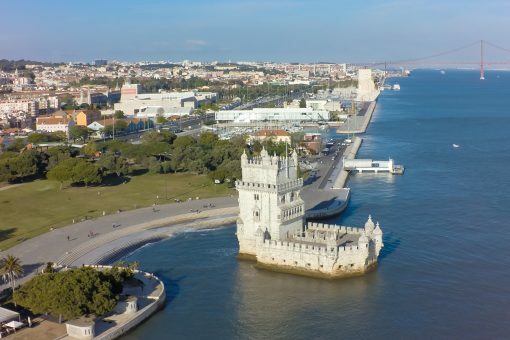 The Belem Tower is, without any doubt, the most iconic landmark in Lisbon. 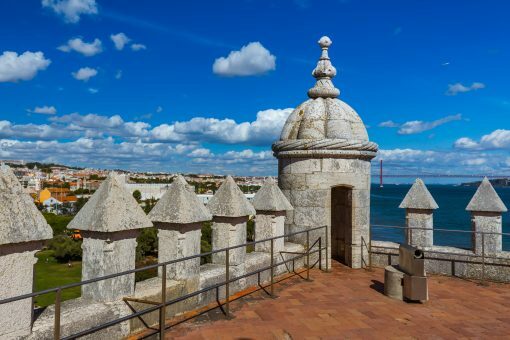 Built in 1519 the tower was mainly used to control access to the city from the ocean during the Age of Discovery. Declared a UNESCO World Heritage Site and one of the most visited attractions in Lisbon, Belem Tower is a strong example of Manueline architecture although traces of other architectural styles can also be easily spotted. Consisting of beige-white limestone which is sourced from the Lisbon area, the tower strikes an imposing and unmistakable sight on the Lisbon skyline. Although it was primarily built to serve the purpose of a fortress, the tower has a luxurious exterior with unique limestone ornaments and sculpted balconies which indicate the wealth Portugal experienced during the Manueline era. 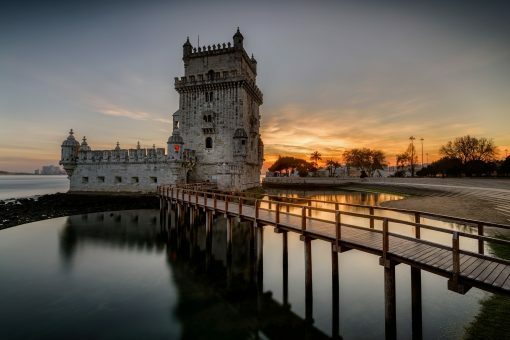 Belem tower has a six sided base with turrets (Moorish style) at each corner and a battery of cannons above a cross-vaulted basement which was used as a prison. Another point of interest is the terrace which is located just above the basement is graced by a statue of Mary and a child which is believed to protect seafarers. And then there is the armoury, and the private residences are located on the upper floors of the tower. But the most interesting part of the tower is arguably the second floor which houses the sculpted columns and balconies of the Royal Residences. 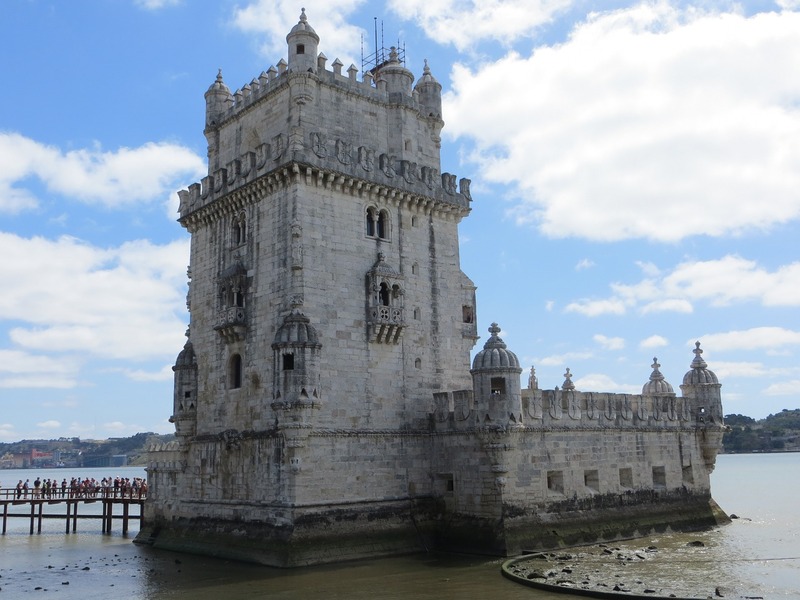 Finally, when you reach the upper floor of Belem Tower you will understand why this was such an important and iconic structure in Belem, for the unrivalled views of the town and Tagus River are worth every step of the climb.